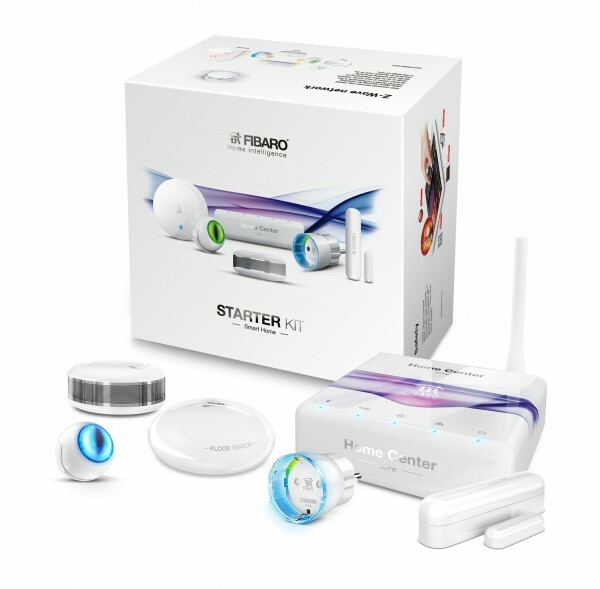 Product information "FIBARO Starter Kit"
Start into the world of home automation. Turn your home into an intelligent Smart Home. Security, Comfort, Energy Savings – Everything is connected and makes your life easier and more comfortable. You don’t know how to start? No problem! FIBARO has already bundled a range of useful components in this starter kit. Start your smart home with the Z-Wave control center ‘Home Center Lite’ and 5 smart single devices. The starter kit already allows various automation scenes out-of-the-box. Turn a lamp on, which is plugged into the switchable Wall Plug, as soon as the Motion Sensor detects motion. Or switch the Wall Plug off automatically when the window is opened. The Smoke Sensor will alarm acoustically in case of smoke or emerging fire and sends a push notification to your smartphone simultaneously. The Flood Sensor warns also acoustically and with push notification in case of detected water. The FIBARO Starter Kit’s components also allow a lot of other functions and automations. Find it out! Configurable color LED signals temperature level, detected motion etc. Related links to "FIBARO Starter Kit"